Happy Monday! Welcome to another edition of Featured Career of the Week! 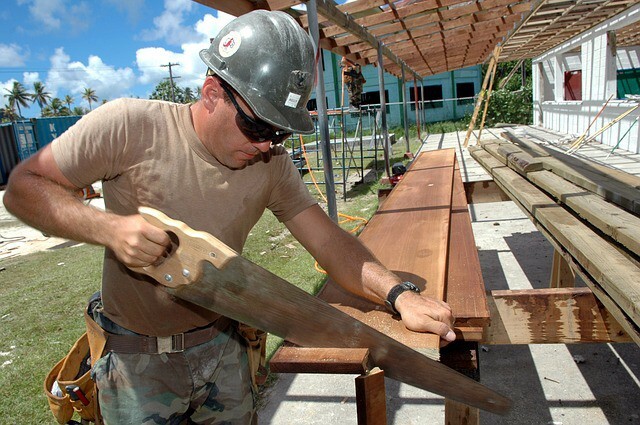 This week’s featured career is a Carpenter! Most of us have a general understanding of the Carpentry profession. But for those who don’t, that’s why we’re here! Carpenters construct, service and repair structures made of wood, steel and other wood substitute and building materials. Sounds pretty general? Well, it is. Carpenters plan things to build, and then build them. That being the case — the job involves many different components and can vary greater depending on the type of job, or the niche of the trade. In residential jobs, carpenters crib the basement; build the house framework, walls, roof, exterior and interior finishes; and install doors, windows, flooring, cabinets, stairs, handrails, paneling, moulding and ceiling tiles. In commercial or industrial jobs, carpenters specialize in building concrete forms, scaffolding, bridges, trestles, tunnels, shelters, towers and other structures. In maintenance jobs, Carpenters repair and remodel existing structures of all kinds. 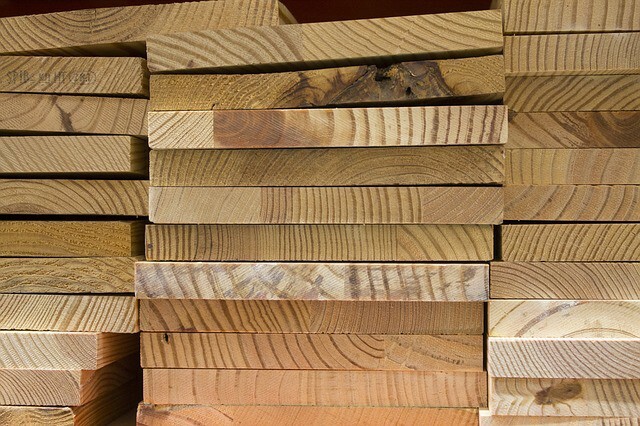 Carpenters are involved in physically demanding work and often work long hours. They also need to be extremely detail orientated and organized, as the planning component is often the most important part of the job. Right now, Carpenters are being heavily recruited right across Canada, so this is the time to be a Carpenter or get into the trade. Carpenters can work plenty of overtime, or choose to work a typical 40 hour work week. Working conditions can be dangerous and strenuous, but often the combined physical labour and complex planning makes for a dynamic work environment and keeps things interesting. One of the aspect of being a Carpenter that some people don’t realize or think about is that carpentry can be a wonderfully first step into bigger and better things within the construction industry, including Project Management or Construction Engineering. Also, with more experience, a Journeyman Carpenter can specialize into finishing carpentry, which typically is better paid, or into other specialized woodworking fields. Check out workintrades.ca for new Carpenter Jobs being posted every week! Depending on where you are in Canada, the rate of pay for Carpenters varies. The typical range is between $15-$22 per hour for entry level Carpenters and between $28-$42 per hour for more experienced Carpenters who typically have journeyman status. 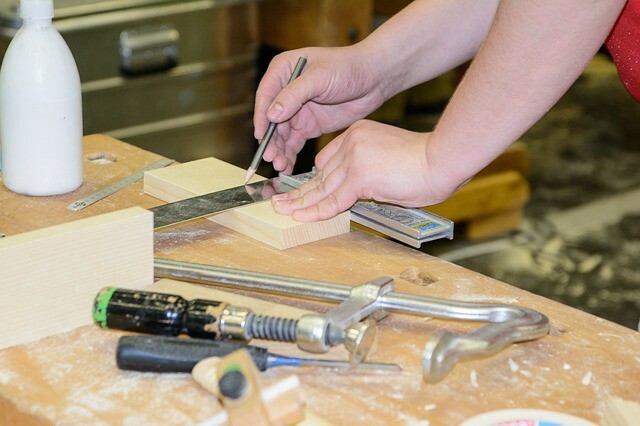 To become a journeyman carpenter, your apprenticeship will be either 3 or 4 years and will include both in class work and on the job experience. Like most trades, you can get paid while you learn.